Our Intersect cloud service connects to the Mixmate app to backup and synchronize data from the field. This cloud service connects the operations in the field to the office. Intersect can be viewed directly from your web browser or it can connect to other software systems. Think of it as the intersection, or connection point, of your Mixmate data. Intersect provides three basic functions: data backup from devices in the field, data synchronization between devices and the office, and remote management and reporting. Data is backed up whenever an internet connection is available and new data is present. This is a big deal! Yield monitors have been around the farm for many years now. The data has typically made the trip to the office on a data card or flash drive. Sometimes the data made it to the office and remained on the flash drive in the desk drawer, or worse, it didn’t even make it to the office. We want Mixmate to be as easy and reliable as possible to use so we made the backups automatic. If your tablet or phone fails or is lost, just load the app on your new device and register the app. The data will be restored up to the most recent backup. We require that the app is registered with a valid phone number and email address for the free backup service. We need your info for two reasons: if you do need to restore your data we need to know who the data belongs to and we would like to send you an occasional newsletter. Data is synchronized between the devices in the field and the Intersect cloud service. Every Android smartphone or tablet running the Mixmate app has the information about the inventory and assets of your business. Jobs can be assigned to specific devices, users, or be seen by everyone in your group. Inventory can be seen in the office or in the app. This is very useful for maintaining supplies to your machines in the field and monitoring progress. Work orders or Jobs in the system simplify the mixing process in the field. When a Job is created in Intersect, it shows in the Job list in the Mixmate app. When a Job is selected in the app, it populates the details for the mixing operation. If no adjustments need to be made, such as the blend size, the operator just starts the mixing process. Jobs are easy to create in Intersect as well. The Job Wizard steps you through the process quickly. Intersect can automatically send reports or notifications to a landowner, grower, or agronomist. When a Job has completed, the reports and notifications are triggered. It can be as simple as the Job is complete or a full report including the amount of product used on the Job. Family farm operations normally have many interested parties. The inventory and usage information is hard to manage. The inventory reconciliation and reporting features of Intersect make this process much easier. 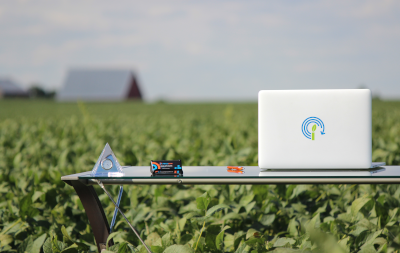 Mixmate is the first system designed to be used on the farm with data integration and portability. No other system offers the features and flexibility of Mixmate. The system was designed from the start to offer a connection to third-party software systems. Data is collected automatically as you work in the field. Intersect offers a similar experience in the office to pass data directly through an API connection to other recordkeeping systems. This eliminates manual data entry that is prone to error. Our sharing system gives you full control over the data that a business partner can see. Share the data for a farm with the landowner. An agronomist can share a prescription with a grower. Jobs can be shared with commercial applicators. These are just some examples of the possibilities. We take data security seriously and will not share your data. Mixmate is a strong candidate for integrating with Conservis. Just being able to pull in actuals so we can automatically decrement input inventory levels would be a big win, not to mention what we could do with work orders and our tank mixing. We are always looking to integrate with the best of the best to help a farmer more efficiently manage their operations, and I see Mixmate as one of those products. The reality is that the cloud is many computers all interconnected by the Internet. The trend is, the Internet is improving even in rural areas. Operating costs are lower and each user does not have to maintain their own copy of the software. Software updates are handled for you which makes your life easier. Cloud computing unties a user from a specific computing platform. Now your data moves easier between systems. Apple, Android, and Windows. The physical location doesn’t matter.